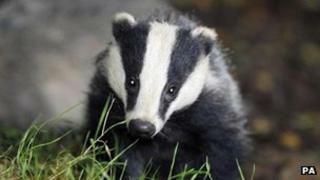 A Gloucestershire council said it will not back a badger cull on its land. Tewkesbury Borough councillors decided against passing a motion at a meeting on Monday which would have backed the government scheme. Last Thursday, Forest of Dean District Council voted to ban any culling of badgers on land it controls. Taunton Deane Borough Council in Somerset is due to vote later on the issue. Campaigners say the cull will not have a significant impact in reducing the disease and are calling for the government to focus on vaccination methods instead. But those in support of a cull argue the move is needed claiming badgers spread TB to livestock, costing taxpayers and farmers millions of pounds.